Griffin Canning does not have any MLB stats for the season. Draft: 2017, Los Angeles Angels, 2nd rd. 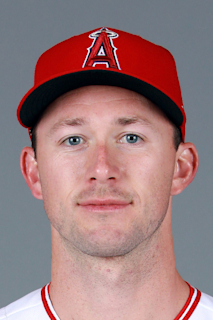 January 25, 2019 Los Angeles Angels invited non-roster RHP Griffin Canning to spring training. June 21, 2018 RHP Griffin Canning assigned to Salt Lake Bees from Mobile BayBears. April 17, 2018 RHP Griffin Canning assigned to Mobile BayBears from Inland Empire 66ers. April 2, 2018 RHP Griffin Canning assigned to Inland Empire 66ers from AZL Angels. June 23, 2017 RHP Griffin Canning assigned to AZL Angels. June 16, 2017 Los Angeles Angels signed RHP Griffin Canning.